A hearty Greek-inspired meal that only requires one tray to make! Slice Little potatoes in half. 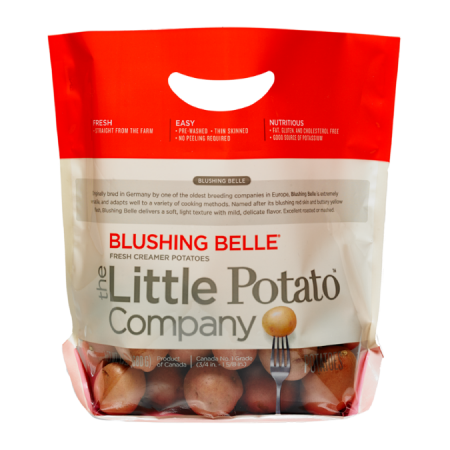 Place Little potatoes into a gallon-size sealable plastic bag and the chicken breasts in a separate gallon-size sealable plastic bag. Prepare tzatziki sauce: In a medium bowl, combine Greek yogurt, diced cucumber, lemon juice, dill garlic, salt, and pepper. Stir well. Cover and place into the refrigerator. When ready to cook the chicken and potatoes, preheat oven to 400°F. 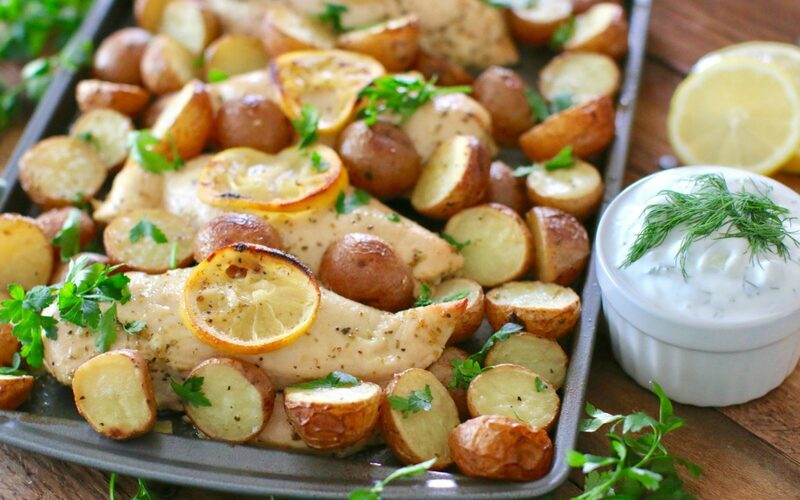 Place marinated chicken and potatoes onto a baking sheet. Bake for about 25 to 30 minutes (until chicken reaches an internal temperature of 165°F). Optional: Place baking pan under the broiler for about 2 to 3 minutes to crisp up the potatoes then garnish with fresh parsley.